Everyone loves pancakes, right? They are easy to make, fun to flip and of course, delicious to eat. Luckily, tomorrow is Pancake Day (or Shrove Tuesday) so we all have an excuse to break some eggs, get flipping and tuck in to a massive stack with a variety of toppings! Sweet or savoury? It’s your choice. Here is a great, classic recipe for cooking amateurs (like me!). It’s the only scenario where falling flat is a good thing! Begin by sieving the flour into a large baking bowl and adding the salt. Make a well in the middle of the flour and add the eggs. Then beat until smooth. Add half the milk and the two teaspoons of butter and beat again. Add the rest of the milk and stir. Grease the pan lightly using the extra butter and heat until very hot. Add a ladle of batter to coat the base of the pan evenly and thinly. Cook until set and small bubbles appear in the batter. Flip the pancake and cook the other side for about half a minute. 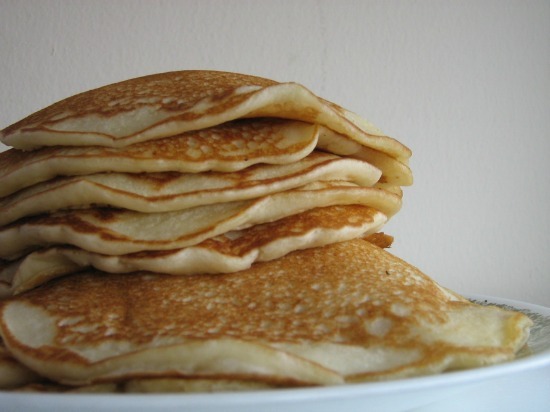 When ready, remove the pancake, keep it warm, grease the pan again and get flipping until you have a delicious stack! 1. Chocolate chips: Got a sweet tooth? Just add chocolate and you’re on to a winner. Dark, milk, white, it’s all good, and easy to mix into the batter or sprinkle on top while they are in the pan. Delicious! 2. Vegan Pancakes: Not everyone eats eggs, but that’s no reason to miss out on all the pancakey goodness – there are loads of recipes out there for those of the vegan persuasion. 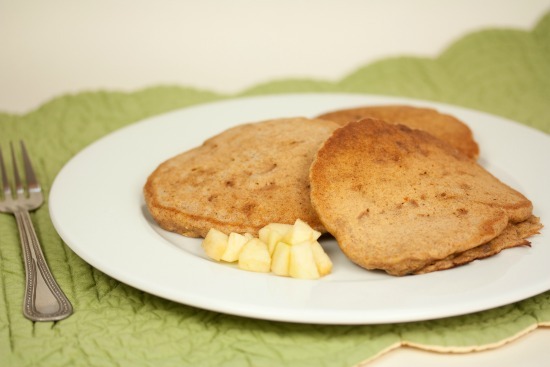 Check out this amazing apple spice vegan pancake recipe from veganbaking.net. 3. Pan-shapes: Circles are the traditional pancake format, but why not try something different to shake things up? Try different pancake shapers (or free hand pouring!) to create stars, flowers and (especially great for upcoming Valentine’s Day) heart shaped pancakes – impressive. 4. Food Colouring: The simplest way to make the humble pancake infinitely more exciting is with the addition of food colouring. 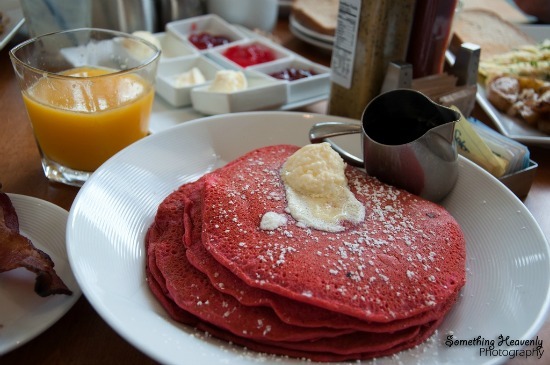 With food colouring, it’s possible to make a stack that’s all the colours of the rainbow, but with Valentine’s Day approaching, red is probably the best choice for a romantic breakfast. 5. Get Creative: Pancakes are so simple, it’s easy to create something that is greater than the sum of it’s parts. 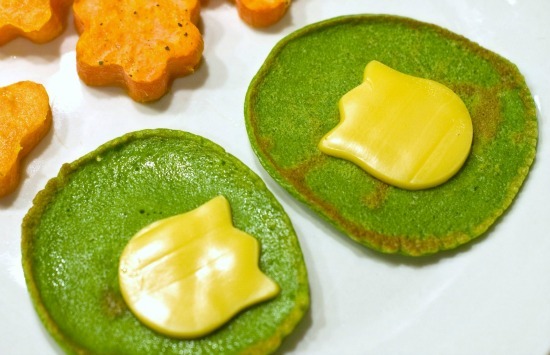 Combine interesting toppings, fun shapes and bright food colouring to make something truly amazing, like these lily pad spinach pancakes with a shapely cheese topping!